Let’s imagine that you are looking to book an opulent stay in one of the most desirable areas of the Algarve, Mallorca, Menorca or Andalucia. Not only do you expect your rented villa to be in the best possible location while embodying the ultimate in character, style and comfort, but you are also seeking the highest standard of customer service from whichever luxury villa rentals company you book with. Here at Villa Retreats, we are not only convinced of being that company – we can demonstrate it to you. We hand-select all of our villas to ensure the utmost in the aforementioned qualities, drawing on the unrivalled first-hand knowledge of our seasoned team. We know how to cater for the most specialised requirements of those looking to book the very finest quality villas across some of the most exotic parts of Europe and beyond. Villa Retreats was established in 1990, and since then, we have gained considerable renown for our refined portfolio of privately owned luxury holiday homes. This reputation first began to be built in the beautiful Algarve region of Portugal, especially the ‘Golden Triangle’ area. This was where our earliest clients fell in love with our luxury villa rentals along the coastline linking the in-demand resorts of Quinta do Lago and Vale do Lobo. We also had luxury villa rentals at this time in Vilamoura and the then largely undiscovered Western Algarve, and in the years since, have extended our range of properties into Andalucia, Mallorca, Menorca, Ibiza and some of the most stylish Greek islands. There are even hand-picked Villa Retreats properties for you to rent in Morocco, Koh Samui and Phuket. However, we are not merely a catalogue site for other people’s properties, as demonstrated by the regular vetting of all of the houses in our portfolio. Some of these properties that especially stand out due to their combination of comfort, facilities and/or an outstanding location have been designated as ‘Posh Pads’, which means that we particularly recommend them. 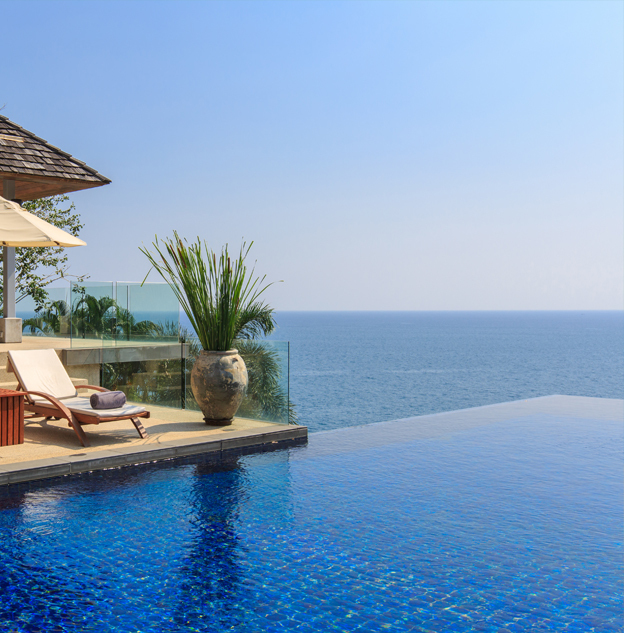 Whether you are seeking to rent a holiday villa for your wedding or honeymoon, as part of an opulent beach break, or as the centre of a big family holiday, the luxury villa rentals service of Villa Retreats is without equal. Take a look at our website today to discover our complete range of properties available to rent in the coming months.